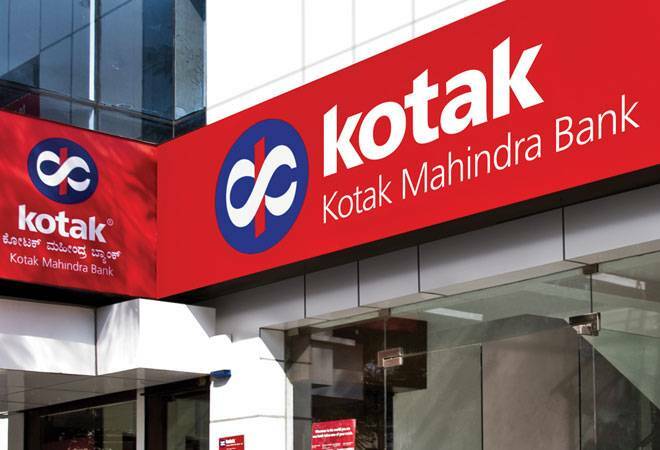 The share price of Kotak Mahindra Bank Ltd (KMB) has gone up 12 per cent in the past month and a whopping 229 per cent in five years. In fact, yesterday, it managed to steal State Bank of India's spot after its stock reportedly climbed 2.22 per cent, hitting a record high of Rs 1,174 before closing at Rs 1,170.05. It is now the country's second most valued bank, currently trading at Rs 1,176 apiece. HDFC Bank continues to retain the top slot with a market cap of Rs 5.03 lakh crore. As per BSE data, KMB's market cap stands at Rs 2.24 lakh crore, compared to SBI's Rs 2.23 lakh crore. The latter is currently trading at Rs 250.35 apiece. The stock has slipped 2 per cent in the past month and a significant 18 per cent over the past three months as it battled a spate of bad news. And that worked out nicely in KMB's favour. "KMB has undoubtedly proven its competitive edge over its private sector peers with higher fee income generation capability, asset quality management as well as effectively managing financial business subsidiaries. Resultantly, the stock has traded at a premium to its peers despite having lower return ratios," said a Reliance Securities report in January. The bank's healthy Q3 performance has spurred the stock on. "At the standalone bank, this quarter recorded a profit of Rs. 1,053 crore, 20 per cent rise over the same period last year. Net interest margin at the bank at 4.2 per cent and the net NPAs [non-performing assets] have dropped to 1.09 per cent this time around compared to 1.26% a quarter ago," said Jaimin Bhatt, President and Group CFO, at KMB's Q3 FY18 Earnings Conference Call. He had added that "the SMA-2 numbers continue to be low. We are at 0.19 per cent of our advances and restructured standard at 0.04 per cent of our advances". For the uninitiated, SMA-2 stands for the highest-risk Special Mention Accounts, where the principal or interest payment is overdue by 61-90 days. Beyond this the account slips into NPA category. According to the Mint, of the 37 brokers tracking the KMB stock on Bloomberg, as many as 26 recommended a "buy" rating, four asked its investors to "sell" the stock and 7 have a "hold" rating. The negative sentiment likely stemmed from KMB's merger with the erstwhile ING Vysya Bank (IVB). "We expect some negative surprises on asset quality and profitability in next few quarters' post completion of merger of IVB" said the Reliance Securities note. All eyes are now on the bank's Q4FY18 results, expected at the end of this month. SBI, on the other hand, not only reported its first quarterly loss in 17 years in February for Q3FY18 - pegged at Rs 2,416 crore - but also admitted that the RBI's audit of its books for 2016-17 had led to the addition of Rs 23,239 crore in its bad loans. With this India's "most trusted and most popular bank", according to a survey by Brand Finance last year, joined the ranks of private banks like Yes Bank and Axis Bank reporting NPA divergence. To remind you, Indian banks have to disclose such discrepancies should the difference between its reported numbers and the apex bank's risk assessment report findings exceed 15 per cent. The bank fraud at Punjab National Bank, allegedly perpetuated by diamantaire-turned-fugitive Nirav Modi, made matters worse. According to the daily, after the scam broke, SBI's share price declined nearly 10 per cent while Nifty PSU Bank index dived 18.4 per cent. "SBI earning for December quarter underscores the challenges in asset quality albeit moderation in the pace of NPL accrual. The group would benefit from the NPL resolution underway through insolvency proceedings. However, the overhang from stressed assets not recognised as impaired, headwinds to margin outlook in the near term, and moderation in growth imply protracted time for the group to deliver normalised level of earnings and profitability," the daily cited brokerage firm IIFL Institutional Equities. As per Bloomberg data, of the analysts covering SBI stock, 42 have a "buy" rating, six have a "hold" rating, while two have a "sell" rating.